Well, not really. It’s actually the Magical Harbor! But pasties and smoked fish are the two things that I need to buy when I am visiting, and it’s been some time since I’ve been up north. It seems like those two things are everywhere in Michigan’s Upper Peninsula (UP) so sorting through all the different kinds can take some time. Here’s where I can help! But first things first — a quick stop at Java Joe’s for some coffee. This place is a fun little cafe that serves a nice selection of breakfast items. Everything is good, but I’d have to single out the crepes as something to try. They can be tricky to make yourself, and you just don’t find those in every restaurant. Plus the decor is fun, especially the mural on the outside. And the coffee is great as are the people who work there! 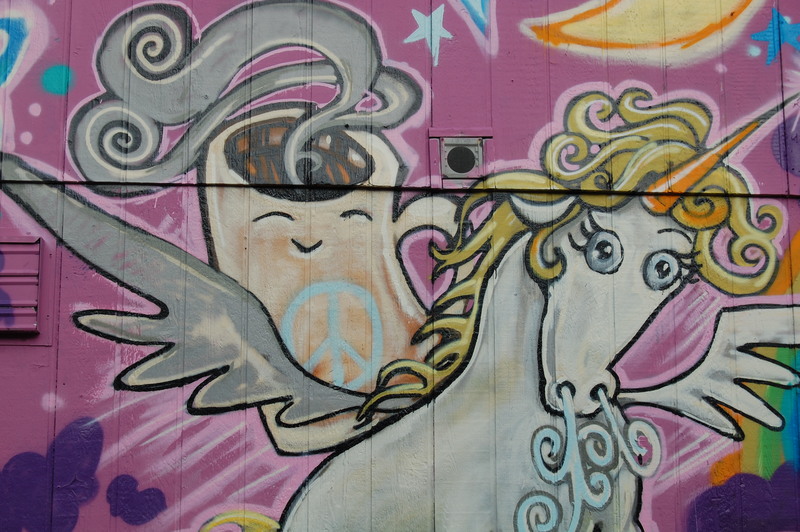 You gotta love a place that features a hopping winged unicorn carrying a steaming cup of smiling peace coffee on its back. Now on to some pasties. 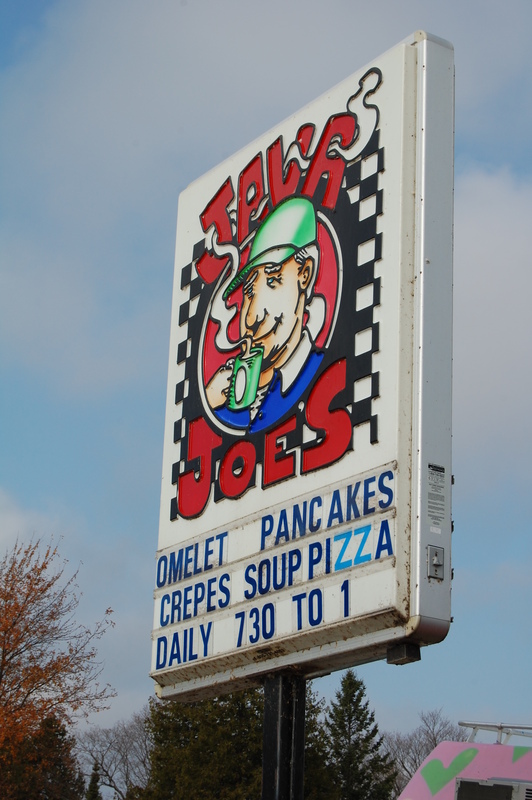 I think I may have talked a little bit about them in my post about the PastyFest 2011 in Calumet, MI. Recipes can vary, but there are those who are adamant that the filling must include rutabagas and not potatoes. In my opinion, it is the crust that makes everything shine. And Bessie’s Homemade Pasties does it the best. It’s a little bit further from the main strip downtown; just drive down the road, and up the hill until you see the giant sign. Like a lot of restaurants in the Upper Peninsula (UP) the inside of the restaurant is simple and unassuming, with charming guestbooks that visitors can sign. But in there, you will find some of the best pasties in the land. These are my favorites by far — the filling is delicious (even if they don’t use rutabagas) and the crust is top-notch. Plus, the pasties look happy to be there! Luckily I planned ahead and brought a cooler so I could take some frozen pasties home. Hopefully I can make them last for a while because I have no idea where to get pasties in SE Michigan. See? I told you they have some happy pasties here! I cannot wait to dive right in! One last step -- Gravy!!! And finally a stop at Manley’s Smoked Fish. You’ll pass it on the way to Java Joe’s and Bessie’s. If you’re a Green Bay Packers fan, you will definitely see it. You’ll probably notice it even if you’re not a fan of the Pack since the complex is painted in the team’s green and yellow colors. 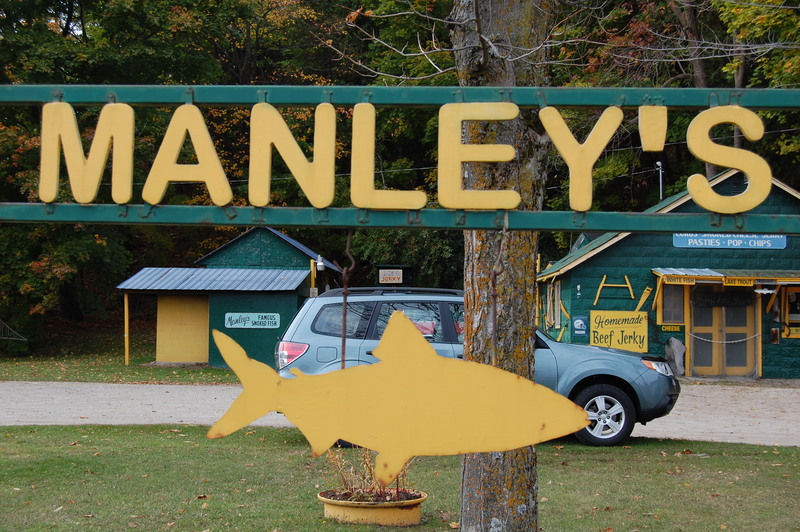 But it’s not all for show — they have great quality smoked fish, homemade beef jerky, pasties, whitefish, lake trout, among other goodies. We picked up a few smoked whitefish to bring home. I don’t know exactly what they do in their smoke house, but they definitely know what they are doing. There are lots of other purveyors of smoked fish in the northern reaches of the state, but this is worth a stop. And the prices are extremely reasonable; respectable smoked whitefish down here can be around 5 times the price at $25 a pop. I will be using these golden formerly swimming packets of goodness to a make smoked fish dip which I will be posting soon. 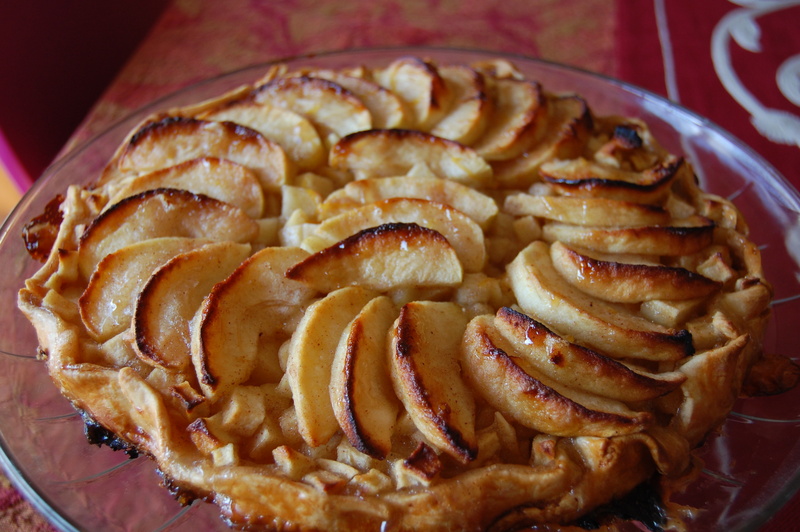 This entry was posted in Culture, Just for fun, Pies and Tarts, Recipe, Restaurants, Travel and tagged Culture, Food, Just for Fun, Pies and Tarts, Recipes, Restaurants, Travel. I love pasties! Most people around here don’t know what they are, but my family has been making pasties for as long as I can remember. 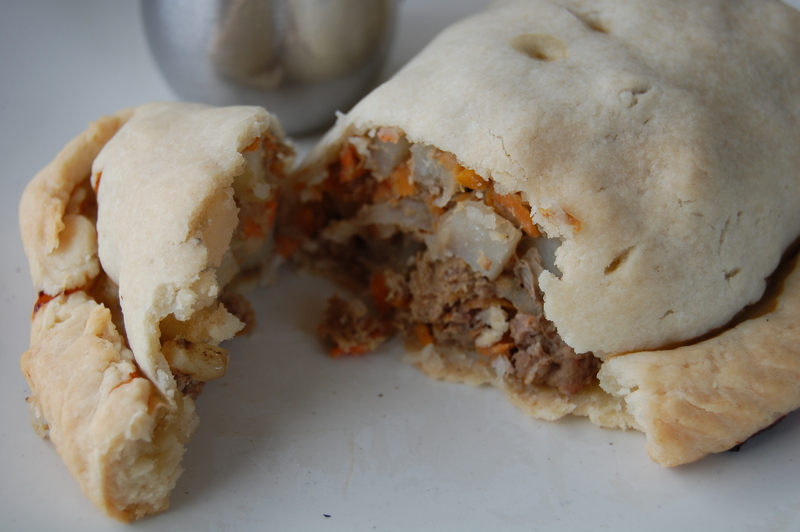 My parents are from Montana, and pasties are a big part of the food culture around Butte and Anaconda, where mining was a big industry and a lot of the inhabitants are of Irish and Welsh descent. The miners would carry these to lunch because they are so portable. 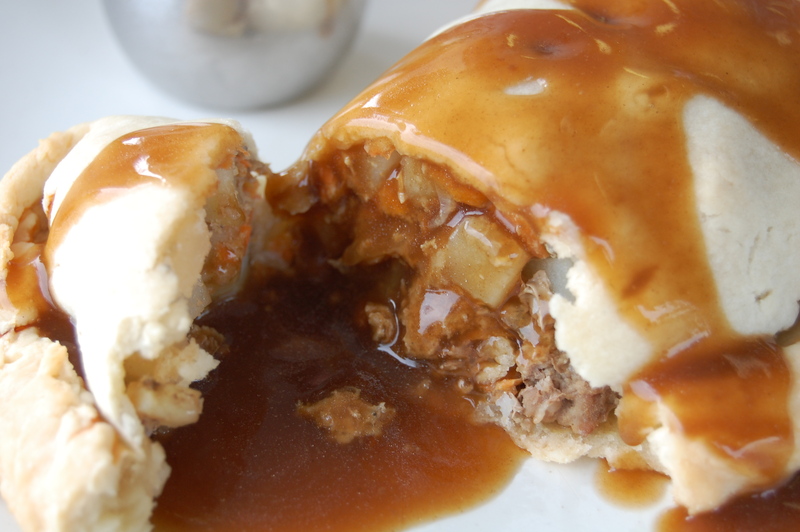 We make ours with flaky pie crust and fill it with steak, onions, potatoes, and Worcestershire sauce, and then we top them with gravy. Yummy! Never heard of pasties before, always trying to learn new stuff, now I know where to get the best pasties when in Michigan, Thanks. This is a staple in mining communities. The food was portable and they could heat the pasty on the lamps on their helmets. 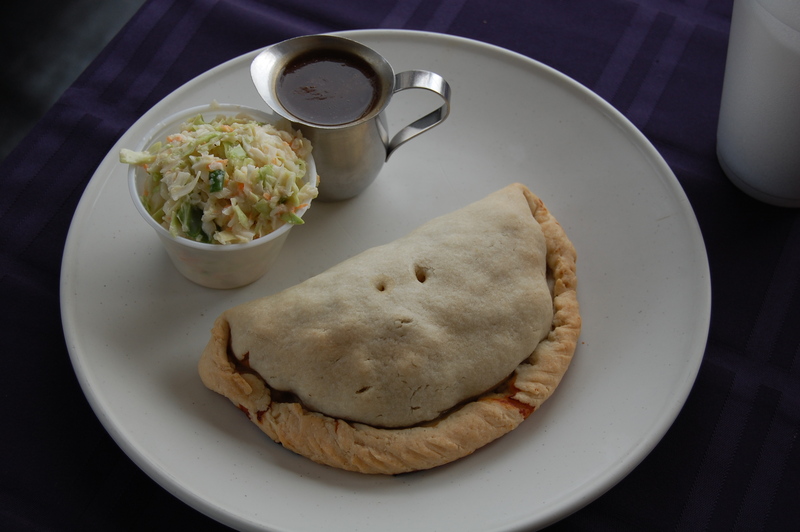 A lot of cultures have their own version — calzones and empanadas are some examples. Those are great looking pasties! 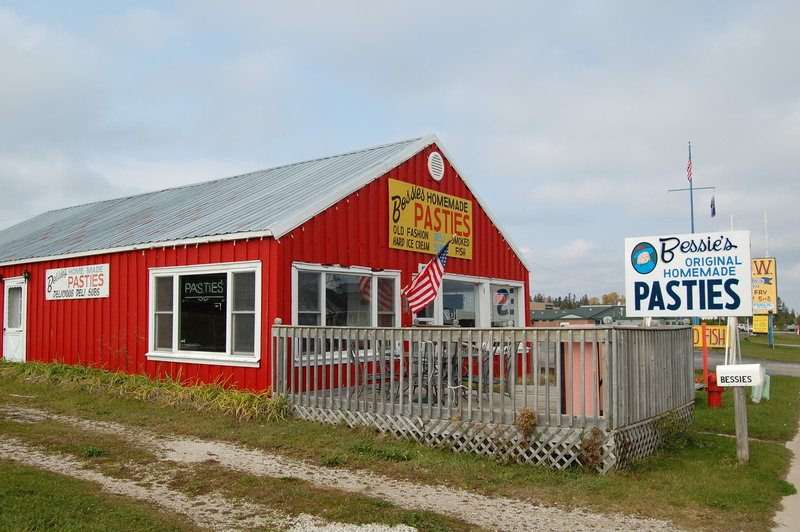 I grew up eating pasties in Northern California, but had not idea upper Michigan was all about them nor did I know there was such a thing as a pasty fest! That’s brilliant and something I might just have to trek to one of these days. i still have to find the pasties with the built in dessert (it would have the fruit baked in one end). guess i’ll have to come up with one! Nice post, great to see the difference in pasties around the world! Sorry for the delay in my response. I think it would be fine if you used one of my pictures. I look forward to seeing the finished product. And thank you for checking with me first!